Karma Dorje wrote: Even in ordinary society, this is disrespectful of women. How much more so when discussing the dharma which exalts women as the embodiment of the Perfection of Wisdom. Very curious approach. Its possible my mind has been warped from reading the root tantras and their view of women (actually girls) as chattel. Everything lacks the identity (atman) imputed by mere conceptual labels. If someone wants me to quote from the root tantras let me know. 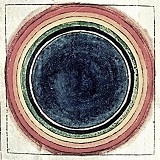 JohnRammy wrote: If someone wants me to quote from the root tantras let me know. If you need to justify your boorishness with bragging about reading the root tantras, I will take you at your word that your mind is warped. I don't need to see any further evidence. conebeckham wrote: Yes, I think the Mahasiddhas went on "freaking" retreat. After all, it says so in the accounts of the Mahasiddhas. Retreat is not merely "monastic." Yeah but I think they were banging chicks and all sorts of things. Certainly not a monk style isolation retreat that gets you a loppon degree. Those guys that are "banging chicks and all sots of things" they are just tourists, when money is finished they go home and pick up the pieces of their life. Sure-- I would like you to quote from the root tantras of Dzogchen (not tantra.) Go right ahead. The root tantras of Dzogchen? What like the Guhyagarbha Tantra? The 17 Tantras? Are these going to show you must be in an isolated thogal retreat??? 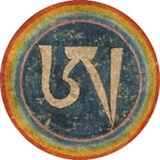 JohnRammy wrote: The root tantras of Dzogchen? What like the Guhyagarbha Tantra? The 17 Tantras? A parrot can be taught to quote anything. But no one can know whether the parrot understands. In fact, we assume the parrot does not. Really? I would be interested if someone can demonstrate this. "1) As a beginner, using the bee-like conduct of integrating numerous Dharma teachings, you should attain certainty as to learning, reflection and meditation. 2) With the conduct of a swallow entering its nest, you should cut through misconceptions about the oral instructions and ensure that the deviations of doubt, obstacles and faults do not occur. 3) Following this, during the actual practice, you should have the conduct of a wounded deer and keep to unpeopled mountain dwellings free from the ties of worldly distractions. 4) As an aid to this you should keep silence, having the conduct of a mute. For your entire life refrain from engaging in flattery or slander. 5) Keeping the conduct like a madman, cast away prejudice and attachment, like, dislike and indifference toward friends and enemies. 6) Adopting the conduct of pigs and dogs, you should be content with whatever happens and take whatever is experienced as your companion, without pure and impure concepts concerning food, clothing, dwelling and sitting place. 7) Through the lion-like conduct of the king of beasts, you should be free from anxiety about events and completely cast away all fetters of hope and fear. Until you have realized the fruition, practice so that you can endure heat and cold and good and bad equally, without falling under the power of circumstances." Last edited by heart on Tue Nov 27, 2012 6:19 pm, edited 2 times in total. Great, just find a qualified Guru then. This is referring to rushan, not thogal. Anyway, it mentions friends and enemies, refraining from engaging in flattery or slander, so I don't think you are isolated. I think the way the Olds did it was perfect. Of course you are not supposed to talk during the practice. But I assume they would have known that. No. Isolation is particularly important in Tögal. During today's webcast Namkhai Norbu Rinpoche mentioned about recent rainbow body realization this or last year. He told about this only a few words that it was attracted american scientists to go to see it, but he don't know any more details .. Does anybody have heard anything about this? Any web press or blogs or forums posts links would be very interesting! arsent wrote: During today's webcast Namkhai Norbu Rinpoche mentioned about recent rainbow body realization this or last year. He told about this only a few words that it was attracted american scientists to go to see it, but he don't know any more details .. Does anybody have heard anything about this? Any web press or blogs or forums posts links would be very interesting! Already got an answer in the neighbor thread - it was H.H Achuk Rinpoche! heart wrote: No. Isolation is particularly important in Tögal. I don't want to pretend I know very much about Tögal but I have understood that there are several reasons for this. One is the preliminary of the nine-fold relaxing of body, speech and mind an other is that Tögal is secret and you are not allowed to show other people the postures. This practice is also quite difficult, at least I think so. It possible that if you are an expert you can practice it everywhere and other people might not even notice it. But I am a beginner, then you do retreats and retreats are best in quiet places preferably with a view. so the trial by social media? did they hang in the court of public opinion? are we victorious and full of spiritual virtue? are we on the side thats winning>?